Do the Gospels record the original rendition of the Lord’s Prayer? Of the clause "Thy kingdom come." Of the clause "Thy will be done." Of the clause: "Forgive us our debts, etc." Of the clause: "Lead us not into temptation." 9 Thus therefore shall you pray: Our Father who art in heaven, hallowed be thy name. 13 And lead us not into temptation. But deliver us from evil. Amen. 2 And he said to them: When you pray, say: Father, hallowed be thy name. Thy kingdom come. As for the prayer itself the version in St. Luke 11:2-4, given by Christ in answer to the request of His disciples, differs in some minor details from the form which St. Matthew (6:9-15) introduces in the middle of the Sermon on the Mount, but there is clearly no reason why these two occasions should be regarded as identical. It seems probable, from the form in which the Our Father appears in the "Didache", that the version in St. Matthew was that which the Church adopted from the beginning for liturgical purposes. No great importance can be attached to the resemblances which have been traced between the petitions of the Lord's prayer and those found in prayers of Jewish origin which were current about the time of Christ. There is certainly no reason for treating the Christian formula as a plagiarism, for in the first place the resemblances are but partial and, secondly we have no satisfactory evidence that the Jewish prayers were really anterior in date. 1,968 years ago, on a hillside overlooking the Sea of Galilee, Jesus of Nazareth was asked by his followers for instructions on how to pray. In response, Jesus recited a short prayer. This prayer is recorded in the Gospel of Luke (Ch. 11:2-4), written in a final form about 80AD, and the Gospel of Matthew (Ch. 6:9-13), which was completed approximately in 85AD. The longer version of this prayer from the Book of Matthew has become the standard in the liturgy and daily prayers of over one billion Christians worldwide. Most Christians are taught the "Lord’s Prayer" at a very early age and continue to recite it throughout their lives either privately, at churches, schools, or social events. The authors of Luke and Matthew were writing over a half century after the prayer was composed and delivered by Jesus. A closer look at the linguistic, cultural, spiritual and historical aspects of the Prayer will give Christians a higher awareness of the power of those few short sentences. We cannot tackle the more difficult issue of what Jesus’ exact words were without a better understanding of the language in which it was rendered. The Gospels and Books of the New Testament were set down in Greek between 20 and 80 years after they were spoken. Greek was the vernacular of the West and the language of commerce. The vernacular of the East, and Jesus’ language, was Aramaic. The Hebrew language, in 1st century Palestine, was used for scriptural and scholarly writings. The weekly synagogue readings (the Sidra, Parashah, and Haphtarah) were always accompanied with an Aramaic translation. These oral translations of the Hebrew lections to Aramaic would eventually be written down in the Targumim. The Gemara of the Jerusalem Talmud and the Babylonian Talmud were written in Eastern (Babylonian) Aramaic. Why did the Jewish people speak Aramaic and not Hebrew? Aramaic was the language of commerce of the Persian Empire and was used widely from the Indus Valley to Egypt. It became the language of the Jewish people by conquest, first when the Israelites were deported by Tiglath-Pileser III in 732 BC in the first Assyrian invasion. The northern tribes were deported in 721 BC when Sargon II made Israel an Assyrian province and finally the Judeans in 587 BC by Nebuchadnezzar. There is, in a sense, some irony to this since these Mesopotamian conquerors came from the land that gave birth to Abraham. Aramaic was the language of the ancestor of the Jewish people. What is known as the Hebrew Language in the New Testament was called the Lip of Canaan in the Old Testament. Abraham and the Patriarchs adopted the language and script of the Phoenicians. The aftermath of the "Babylonian Captivity" resulted in a readoption of the Aramaic ancestral language of Abraham. The "Hebrew" script used today is actually the Aramaic Square Script which replaced the Phoenician script known as "Old Hebrew" about 200 BC. Old Hebrew is exemplified by the Moabite stone inscription, the Lachish letters, and the Siloam inscription. Most Christians are surprised to learn that until the adoption of Hebrew as the official language of the State of Israel in 1948, it had not been the vernacular of the Jewish people for over 2500 years. There are two renditions of the Lord’s Prayer in the Gospels. One is recorded in Matthew 6:9-13 and a shorter version in Luke 11:2-4. Since both are different, which one records the exact words of Jesus? In fact, the logical conclusion is that no one form of the two versions records the original ipsissima vox Jesu (exact words of Jesus). Both versions reflect editorial modifications by the authors of the Gospels to reflect the liturgical traditions of the separate groups of Greek speaking Christians to which the authors subscribed. Let us first look at these two renderings in the Greek of the Gospel writers (taken from the Codex Sinaiticus, c. 325AD and other ancient texts), English and an Aramaic retroversion. Extracts taken from John Cassian's Conferences (Conference 9 of Abbot Isaac). The full book can be read here: Conferences. THE aim of every monk [and every individual too] and the perfection of his heart tends to continual and unbroken perseverance in prayer, and, as far as it is allowed to human frailty, strives to acquire an immovable tranquillity of mind and a perpetual purity, for the sake of which we seek unweariedly and constantly to practise all bodily labours as well as contrition of spirit... And therefore in order that prayer may be offered up with that earnestness and purity with which it ought to be, we must by all means observe these rules. First all anxiety about carnal things must be entirely got rid of; next we must leave no room for not merely the care but even the recollection of any business affairs, and in like manner also must lay aside all backbitings, vain and incessant chattering, and buffoonery; anger above all and disturbing moroseness must be entirely destroyed, and the deadly taint of carnal lust and covetousness be torn up by the roots... And therefore if we do not want anything to haunt us while we are praying, we should be careful before our prayer, to exclude it from the shrine of our heart, that we may thus fulfill the Apostle's injunction: "Pray without ceasing;" and: "In every place lifting up holy hands without wrath or disputing." For otherwise we shall not be able to carry out that charge unless our mind, purified from all stains of sin, and given over to virtue as to its natural good, feed on the continual contemplation of Almighty God. FOR the nature of the soul is not inaptly compared to a very fine feather or very light wing, which, if it has not been damaged or affected by being spoilt by any moisture falling on it from without, is borne aloft almost naturally to the heights of heaven by the lightness of its nature, and the aid of the slightest breath: but if it is weighted by any moisture falling upon it and penetrating into it, it will not only not be carried away by its natural lightness into any aerial flights but will actually be borne down to the depths of earth by the weight of the moisture it has received. So also our soul, if it is not weighted with faults that touch it, and the cares of this world, or damaged by the moisture of injurious lusts, will be raised as it were by the natural blessing of its own purity and borne aloft to the heights by the light breath of spiritual meditation; and leaving things low and earthly will be transported to those that are heavenly and invisible... BUT we should notice the ways in which the Lord points out that the soul is weighed down: for He did not mention adultery, or fornication, or murder, or blasphemy, or rapine, which everybody knows to be deadly and damnable, but surfeiting and drunkenness, and the cares or anxieties of this world: which men of this world are so far from avoiding or considering damnable that actually some who (I am ashamed to say) call themselves monks entangle themselves in these very occupations as if they were harmless or useful. And though these three things, when literally given way to weigh down the soul, and separate it from God, and bear it down to things earthly, yet it is very easy to avoid them, especially for us who are separated by so great a distance from all converse with this world, and who do not on any occasion have anything to do with those visible cares and drunkenness and surfeiting. AND so there follows after these different kinds of supplication a still more sublime and exalted condition which is brought about by the contemplation of God alone and by fervent love, by which the mind, transporting and flinging itself into love for Him, addresses God most familiarly as its own Father with a piety of its own. And that we ought earnestly to seek after this condition the formula of the Lord's prayer teaches us, saying "Our Father." When then we confess with our own mouths that the God and Lord of the universe is our Father, we profess forthwith that we have been called from our condition as slaves to the adoption of sons, adding next "Which art in heaven," that, by shunning with the utmost horror all lingering in this present life, which we pass upon this earth as a pilgrimage, and what separates us by a great distance from our Father, we may the rather hasten with all eagerness to that country where we confess that our Father dwells, and may not allow anything of this kind, which would make us unworthy of this our profession and the dignity of an adoption of this kind, and so deprive us as a disgrace to our Father's inheritance, and make us incur the wrath of His justice and severity. To which state and condition of sonship when we have advanced, we shall forthwith be inflamed with the piety which belongs to good sons, so that we shall bend all our energies to the advance not of our own profit, but of our Father's glory, saying to Him: "Hallowed be Thy name," testifying that our desire and our joy is His glory, becoming imitators of Him who said: "He who speaketh of himself, seeketh his own glory. But He who seeks the glory of Him who sent Him, the same is true and there is no unrighteousness in Him." Finally the chosen vessel [the apostle Paul] being filled with this feeling wished that he could be anathema from Christ if only the people belonging to Him might be increased and multiplied, and the salvation of the whole nation of Israel accrue to the glory of His Father; for with all assurance could he wish to die for Christ as he knew that no one perished for life. And again he says: "We rejoice when we are weak but ye are strong." And what wonder if the chosen vessel wished to be anathema from Christ for the sake of Christ's glory and the conversion of His own brethren and the privilege of the nation, when the prophet Micah wished that he might be a liar and a stranger to the inspiration of the Holy Ghost, if only the people of the Jews might escape those plagues and the going forth into captivity which he had announced in his prophecy, saying: "Would that I were not a man that hath the Spirit, and that I rather spoke a lie;"--to pass over that wish of the Lawgiver, who did not refuse to die together with his brethren who were doomed to death, saying: "I beseech Thee, O Lord; this people hath sinned a heinous sin; either forgive them this trespass, or if Thou do not, blot me out of Thy book which Thou hast written." But where it is said "Hallowed be Thy name," it may also be very fairly taken in this way: "The hallowing of God is our perfection." And so when we say to Him "Hallowed be Thy name" we say in other words, make us, O Father, such that we may be able both to understand and take in what the hallowing of Thee is, or at any rate that Thou mayest be seen to be hallowed in our spiritual converse. And this is effectually fulfilled in our case when "men see our good works, and glorify our Father Which is in heaven." 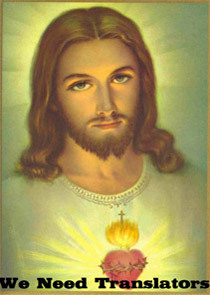 THE second petition of the pure heart desires that the kingdom of its Father may come at once; viz., either that whereby Christ reigns day by day in the saints (which comes to pass when the devil's rule is cast out of our hearts by the destruction of foul sins, and God begins to hold sway over us by the sweet odour of virtues, and, fornication being overcome, charity reigns in our hearts together with tranquillity, when rage is conquered; and humility, when pride is trampled under foot) or else that which is promised in due time to all who are perfect, and to all the sons of God, when it will be said to them by Christ: "Come ye blessed of My Father, inherit the kingdom prepared for you from the foundation of the world;" (as the heart) with fixed and steadfast gaze, so to speak, yearns and longs for it and says to Him "Thy kingdom come." For it knows by the witness of its own conscience that when He shall appear, it will presently share His lot. For no guilty person would dare either to say or to wish for this, for no one would want to face the tribunal of the Judge, who knew that at His coming he would forthwith receive not the prize or reward of his merits but only punishment. THE third petition is that of sons: "Thy will be done as in heaven so on earth." There can now be no grander prayer than to wish that earthly things may be made equal with things heavenly: for what else is it to say "Thy will be done as in heaven so on earth," than to ask that men may be like angels and that as God's will is ever fulfilled by them in heaven, so also all those who are on earth may do not their own but His will? This too no one could say from the heart but only one who believed that God disposes for our good all things which are seen, whether fortunate or unfortunate, and that He is more careful and provident for our good and salvation than we ourselves are for ourselves. Or at any rate it may be taken in this way: The will of God is the salvation of all men, according to these words of the blessed Paul: "Who willeth all men to be saved and to come to the knowledge of the truth." Of which will also the prophet Isaiah says in the Person of God the Father: "And all Thy will shall be done." When we say then "Thy will be done as in heaven so on earth," we pray in other words for this; viz., that as those who are in heaven, so also may all those who dwell on earth be saved, O Father, by the knowledge of Thee. NEXT: "Give us this day our bread which is epiousion," i.e., "supersubstantial," which another Evangelist calls "daily." The former indicates the quality of its nobility and substance, in virtue of which it is above all substances and the loftiness of its grandeur and holiness exceeds all creatures, while the latter intimates the purpose of its use and value. For where it says "daily" it shows that without it we cannot live a spiritual life for a single day. Where it says "today" it shows that it must be received daily and that yesterday's supply of it is not enough, but at it must be given to us today also in like manner. And our daily need of it suggests to us that we ought at all times to offer up this prayer, because there is no day on which we have no need to strengthen the heart of our inner man, by eating and receiving it, although the expression used, "today" may be taken to apply to this present life, i.e., while we are living in this world supply us with this bread. For we know that it will be given to those who deserve it by Thee hereafter, but we ask that Thou wouldest grant it to us today, because unless it has been vouchsafed to a man to receive it in this life he will never be partaker of it in that. "AND forgive us our debts as we also forgive our debtors." O unspeakable mercy of God, which has not only given us a form of prayer and taught us a system of life acceptable to Him, and by the requirements of the form given, in which He charged us always to pray, has torn up the roots of both anger and sorrow, but also gives to those who pray an opportunity and reveals to them a way by which they may move a merciful and kindly judgment of God to be pronounced over them and which somehow gives us a power by which we can moderate the sentence of our Judge, drawing Him to forgive our offences by the example of our forgiveness: when we say to Him: "Forgive us as we also forgive." And so without anxiety and in confidence from this prayer a man may ask for pardon of his own offences, if he has been forgiving towards his own debtors, and not towards those of his Lord. For some of us, which is very bad, are inclined to show ourselves calm and most merciful in regard to those things which are done to God's detriment, however great the crimes may be, but to be found most hard and inexorable exactors of debts to ourselves even in the case of the most trifling wrongs. Whoever then does not from his heart forgive his brother who has offended him, by this prayer calls down upon himself not forgiveness but condemnation, and by his own profession asks that he himself may be judged more severely, saying: Forgive me as I also have forgiven. And if he is repaid according to his own request, what else will follow but that he will be punished after his own example with implacable wrath and a sentence that cannot be remitted? And so if we want to be judged mercifully, we ought also to be merciful towards those who have sinned against us. For only so much will be remitted to us, as we have remitted to those who have injured us however spitefully. And some dreading this, when this prayer is chanted by all the people in church, silently omit this clause, for fear lest they may seem by their own utterance to bind themselves rather than to excuse themselves, as they do not understand that it is in vain that they try to offer these quibbles to the Judge of all men, who has willed to show us beforehand how He will judge His suppliants. For as He does not wish to be found harsh and inexorable towards them, He has marked out the manner of His judgment, that just as we desire to be judged by Him, so we should also judge our brethren, if they have wronged us in anything, for "he shall have judgment without mercy who hath shown no mercy." NEXT there follows: "And lead us not into temptation," on which there arises no unimportant question, for if we pray that we may not be suffered to be tempted, how then will our power of endurance be proved, according to this text: "Every one who is not tempted is not proved;" and again: "Blessed is the man that endureth temptation"? The clause then, "Lead us not into temptation," does not mean this; viz., do not permit us ever to be tempted, but do not permit us when we fall into temptation to be overcome. For Job was tempted, but was not led into temptation. For he did not ascribe folly to God nor blasphemy, nor with impious mouth did he yield to that wish of the tempter toward which he was drawn. Abraham was tempted, Joseph was tempted, but neither of them was led into temptation for neither of them yielded his consent to the tempter. Next there follows: "But deliver us from evil," i.e., do not suffer us to be tempted by the devil above that we are able, but "make with the temptation a way also of escape that we may be able to bear it." YOU see then what is the method and form of prayer proposed to us by the Judge Himself, who is to be prayed to by it, a form in which there is contained no petition for riches, no thought of honours, no request for power and might, no mention of bodily health and of temporal life. For He who is the Author of Eternity would have men ask of Him nothing uncertain, nothing paltry, and nothing temporal. And so a man will offer the greatest insult to His Majesty and Bounty, if he leaves on one side these eternal petitions and chooses rather to ask of Him something transitory and uncertain; and will also incur the indignation rather than the propitiation of the Judge by the pettiness of his prayer.